Hardwood flooring is gorgeous...and it can be gorgeously expensive too! 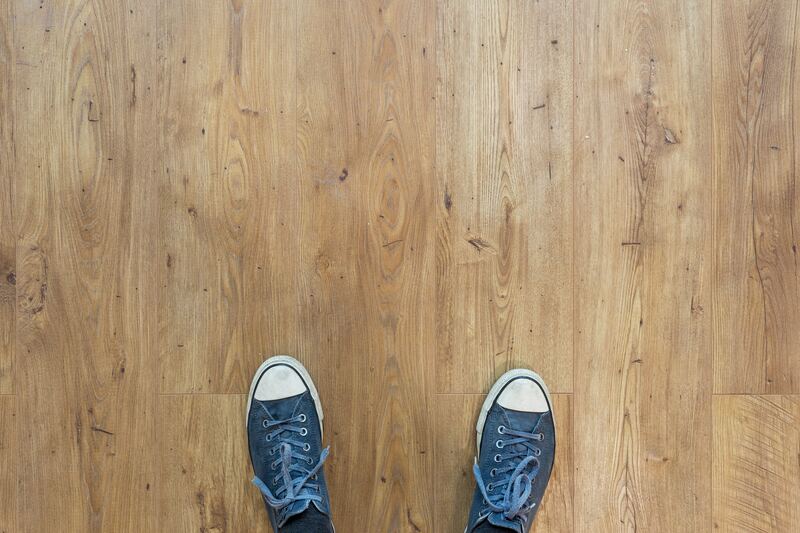 Let’s take a look at three cheap alternatives to hardwood that add a wow to any space. 1) Bamboo. At about $4 per square foot, bamboo has the long-lasting appeal of hardwood without the price tag. Bonus: because they grow at a much faster rate than wood, bamboo floors are celebrated as eco-friendly. Con: avoid installing bamboo in high-humidity or wet areas in the home, as it can warp. 2) Cork. This soft flooring is an alternative to carpet with a price tag of $2 to $4 per square foot. These floors provide warmth, comfort, and favorable acoustical properties, and they don’t harm indoor air quality. Cons: Because of its porosity, cork will need to be sealed regularly, and it’s not recommended for red wine drinkers and families with young children. 3) Concrete. Talk about durable and low maintenance, and this isn’t your driveway’s concrete! Concrete flooring can be stamped, dyed, and customized to your desired interior look and feel. At $2 to $6 per square foot, it’s a great deal too. Cons: the hard surface can sometimes be a hindrance to those with young children or elderly family members in the home. It can also be porous and subject to moisture if it’s not sealed correctly. There are so many alternatives to hardwood floors that simply won’t break the bank! Have a question about flooring? I’m always here to help. Reach out to me anytime.